Located behind the Entler Hotel, the Rumsey Steamboat Museum was built in 1988 to house the Rumseian Experiment, a working replica of James Rumsey’s 1787 steamboat constructed for the bicentennial of Rumsey’s original, in 1987. Built to resemble stables for the Hotel, the Steamboat Museum houses both the Experiment and some exhibits of Rumsey’s life and inventions. 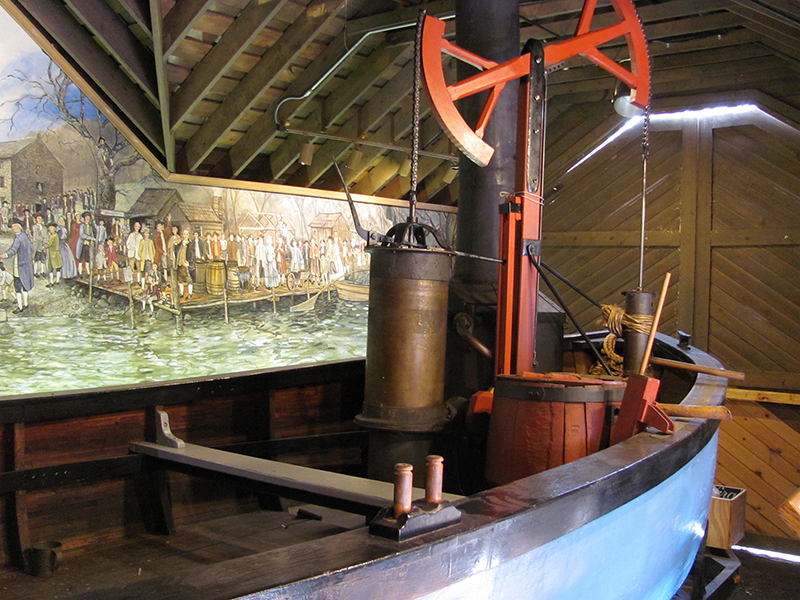 The Boathouse also has a mural by artist Larry Drechsler showing the Shepherdstown bank of the Potomac during Rumsey’s demonstration of his steamboat on December 3, 1787.